Paris, France – Denver-based Boom Supersonic is strengthening its strategic partnership with Rescale to leverage the power of cloud high-performance computing (HPC) for design and optimization of its new supersonic passenger jet. The world’s first commercial supersonic aircraft, Concorde, was envisioned in the 1960s for next-generation, high-speed intercontinental travel. 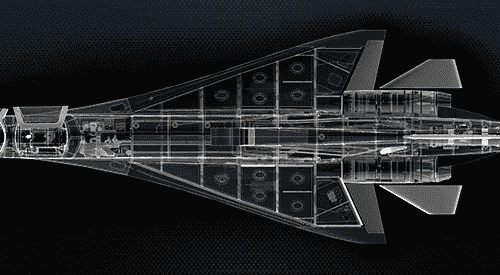 It was designed with a short wingspan to reduce supersonic drag, but with a long swept delta to produce lift-inducing vortices at landing and takeoff speeds. While a technical marvel, the plane wasn’t commercially successful due to high operating costs and the inability to fill 100 seats at the $20,000 round-trip ticket price. It was retired in 2003 after Airbus could no longer source parts, a rare backward step in technology progress. After fourteen years, Boom is reigniting the dream of supersonic travel and showing off its updated XB-1 supersonic demonstrator at the Paris Air Show. The design phase this time looks very different from the 1960s. Leveraging Rescale’s turnkey cloud HPC platform, Boom uses computational fluid dynamics (CFD) and finite element analysis running on a massively-powerful compute infrastructure to run thousands of simulations at each stage of the design. This on-demand, zero-IT footprint has enabled them to run a lean startup operation, while at the same time simulating and optimizing high-fidelity virtual prototype models on the world’s most powerful compute clusters. Boom’s product development cycle is almost entirely simulation-driven, employing the Rescale platform from initial high-level concept down to the detailed design of items such as the variable geometry engine intakes. Using flight simulators, pilots are testing various flight conditions and helping to refine requirements in a continuous loop with simulation. The approach is leading to a huge amount of data being generated across several complex simulation tools, but by working with the Rescale development team Boom is helping Rescale develop efficient data management workflows. For example, remote desktop post-processing with automatic in-platform visualization of results across multiple tools ensures that all stakeholders stay fully informed at every stage, transferring only the key results they need to move the project forward. Using their recent $33M Series A round of funding, Boom is building their XB-1 demonstrator aircraft now and will announce a major design update at the Paris Air Show. Boom Supersonic is a Denver-based startup dedicated to removing the barriers to experiencing the planet, starting by building a Mach 2.2 airliner economical enough to operate with business-class fares. Boom is backed by venture capital firms such as 8VC, RRE, Lightbank, Y Combinator, and Caffeinated Capital, as well as angel investors including Sam Altman, Paul Graham, and Greg McAdoo. For more information, please visit boomsupersonic.com. Rescale™ is the global leader for enterprise big compute on the multi-cloud. Trusted by the Global Fortune 500, Rescale empowers the world’s top executives, IT leaders, engineers and scientists to securely manage product innovation and perform groundbreaking research and development faster at a lower cost. Rescale’s ScaleX platform solutions transform traditional fixed IT resources into flexible hybrid, private, and public cloud resources—built on the largest and most powerful high-performance computing infrastructure network in the world. For more information on Rescale, visit www.rescale.com.